People are very much interested in spending a hefty amount of money in renovating their personal villas, houses and mansion. They are very keen in giving natural themes that make their place of living quit eco-friendly. Suffixing slate tile is becoming a viable option for house owners who want to give a consolidatory and classy outlook to their leisure place. This stone is extracted from mountains and are curved to fabricate good looking tiles that are finding places in houses and commercial buildings for roofing and walling. You cannot ignore the remarkable strength of these earthy stones for which they are chosen by constructors and interior designers. Slate tile has many intrinsic properties that help in binding nearby materials and maintaining the overall strength of the house. When you apply tiles on your floor the chances of getting slipped on these smooth surfaces become very usual. 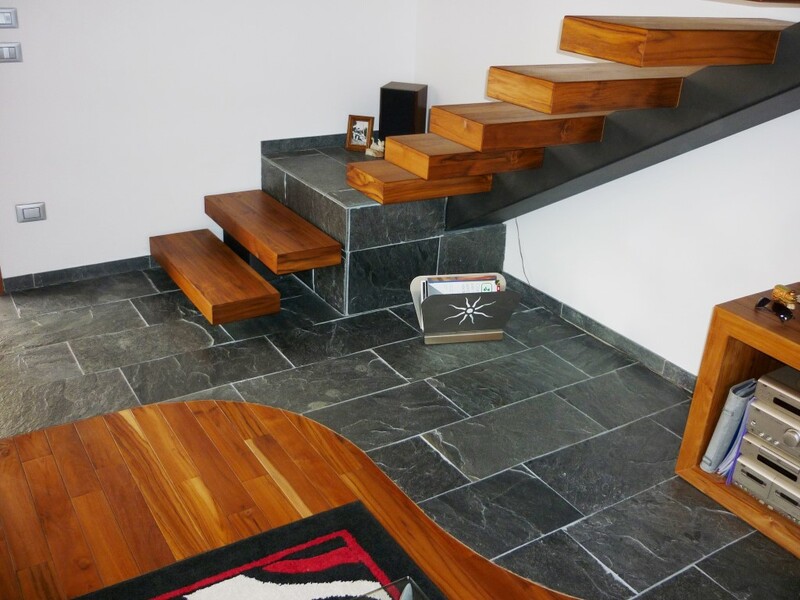 Slate, on the other hand, is a non-slippery material that can be a preferred choice for flooring that reduces the chances of getting slipped on wet surfaces. They are also used as roofing material due to its non-soaking ability which prevents hose dwellers from frigid cold and stormy rainfall. You can use these tiles in flooring your swimming pool that stops any leakage and gives nature oriented design to your pool. You can make your pavement a lot splendiferous with the help of slate tile that adds a glare to the entry point of your home. Using these wonderful slabs, you can create a kitchen splash back and can even tile your baking area. In cold countries, the temperature dips at an alarming rate that make the environment extremely cold. You can construct an elegant slate hearth for putting your solid fuel stove to counter cold ambiance. These tiles are easily fixed with cement to make a solid floor that can bear high temperatures without cracking or tearing. You can select the size of these slabs as per your comfort ability. 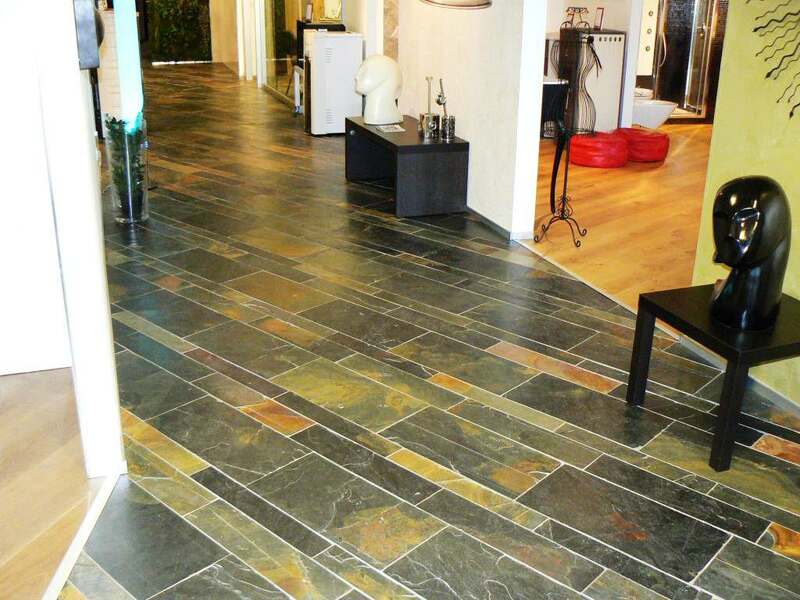 If you wish to give a visual appearance to your windows and ceiling you can choose slate tile and slabs. These slates not only provides strength to the fixing points of your windows but also guides run- off water to pits and drainage lines through its sills and grooves. It can be used indoors and outdoors as designing material to provide a distinct look to onlookers. These stones can be used as walling material for building boundaries of your house that looks a lot endearing and doesn’t lose its charming effect after many years of relentless service as defense fencing.